Orchestration is the automated coordination and management of computer resources and services. Orchestration provides for deployment and execution of interdependent workflows completely on external resources. A cloud orchestration engine manages complex cross-domain workflows involving systems, enterprises and firewalls, and processes including handling exceptions. 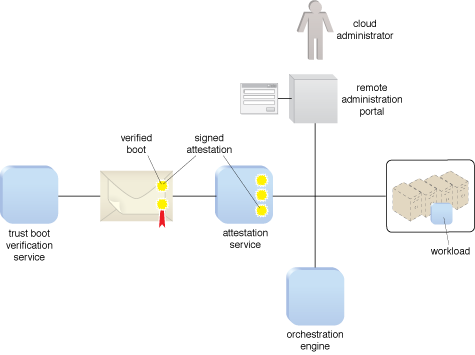 Figure 1 – An orchestration engine places workloads on compute resources with the required security. Figure 1 shows an orchestration engine that receives workload processing requirements from an administrator or consumer, including security requirements, referencing an attestation service to determine available compute resources with the required security and dispatching the workload on the secure resources. Security of the orchestration engine and workflow processes is critical since a compromise could affect the entire cloud or on-premise resources. Strong authentication is one required security capability of these automation services.